The architectural project (urbanistic and constructive) is done by the partner SAM  Studio Architekt Moroder  Bolzano, while the MPS - Motoder Project Service takes care about the design (interiors, parcs, landscaping, golf course design, ...) , the project management and the security coordination. The more specific plannings like static calculations or electro-planning will be done by competent partners and their specialized staff unter the supervision and coordination of MPS as general planning and consulting team. 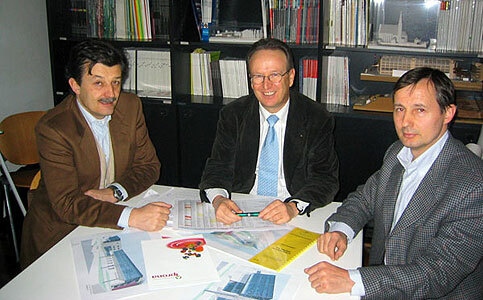 Project and coordination director of these interdisciplinar plannings is the managing director of MPS - Architect Dr. Wilfried Moroder, who has a 30-year work-experience in this sectir.